Air shows are always a big attraction especially here in Cape Town. 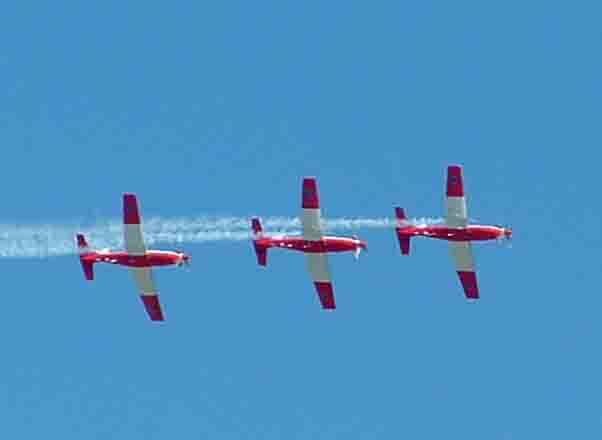 Last weekend there was an “Air Extravaganza “ held at the Ysterplaat Air Force Base in Brooklyn a suburb of Cape Town. Ysterplaat opened its gates at 7.00 am and when I arrived at 8.30 am the airfield was already full, and the flying programme well underway. The first event of the day was a parachute jump by 30 free fallers who all bailed out of a perfectly good aircraft at 12000 feet. They formed a star and at 2000 feet shot off in all directons to open their parachures before landing. An airshow in South Africa cannot compare to one such as Farnborough in the UK as our aircraft were all built before Noah built his ark. The oldest flying aircraft on the show was the Shackleton. It's in great shape and wowed the crowds with its low level flypast with its bomb doors open. 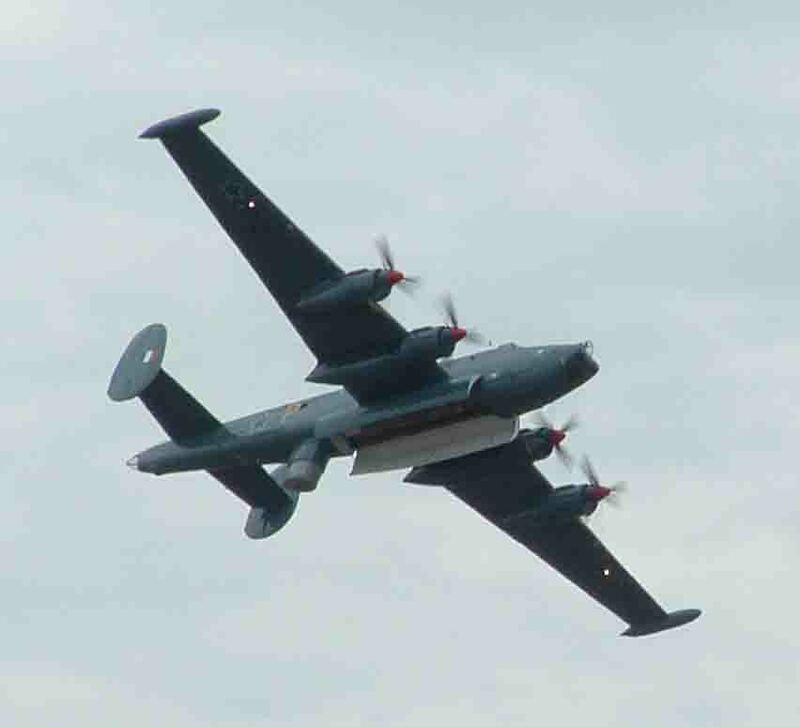 South Africa has the only flying Shackleton in the world. There was another one but it crashed in the desert on the west coast of North Africa while flying to the UK for an air show a couple of years ago. During the 1960's the Shackleton's flew patrols along the sea board of SA to look for fishing vessels illegally fishing in our territorial waters. The sight of a Shackleton circling over a ship caught fishing illegally must have scared many a seaman over the years. There were a number of jet aircraft on show and amongst them there was a” Lightning” which has been rebuilt by the company “Thunder City”. It has a number of old jets which it utilises to train pilots from all over the world and its stable includes Buccaneers, Hawker Hunters and Lightnings to name a few. At the show was a Japanese TV crew who were in SA to film the aura that comes off the” Lightnings” when they go through the sound barrier. Unfortunately their trip was in vain as the jet was not allowed to break the sound barrier in a built up area. This year Ysterplaat went out of its way to entertain the crowds with its flying displays. An unplanned emergency landing occurred when a paraglider who had a motor attached to his back had his propeller snap. He was forced to land downwind and did so succesfully. The stars of the show were however the SA Airforce's fighters. Three Cheetahs enacted a dogfight in the skies above the base and the lone Mirage painted in the colours of the SA flag enthralled the crowds as it climbed 15000 feet straight up into the sky and then came straight back down again. There were two aerobatic teams, the Siver Falcons in their Pilatus Astras and the Sasol Tigers who undertook some precision flying, Two aircraft that impressed were the C47TP, a re engineered Dakota with engines so quiet that it could sneak up on a mouse and the workhorse of the SA Airways fleet, the Hercules. It's amazing dive, down to the runway, and its short take off and versatility were quite astounding. South Africa's airforce has been left behind over the years due to sanctions by the world. We might not have the best aircraft but we have some really good pilots who can do amazing things with the equipment we have. Who will forget the role played by the Oryx helicopters at the sinking of the Seafarer off Green point a number of years ago when the pilots rescued passengers and crew in terrible conditions. Ysterplaat airforce base won a number of awards for their flying skills that year. In the new year a number of the SAAF squadrons will be celebrating birthdays and it appears that another show will be held at Ysterplaat to commemorate them. Rumour has it that the show will be more commercial and will have modern aircraft from other countries on show. That will boost the interest of the public who only see other country's airdraft when they go abroad.